It’s been a little while since we’ve reviewed anything from Xigmatek, and it’s about time we make up for that in a big way. When I say big, I mean BIG. 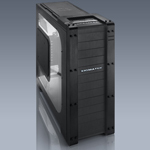 Today’s review sample comes in the form of the Xigmatek Elysium Super Tower Chassis. 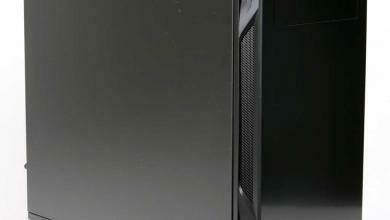 The Elysium is geared toward the larger HPTX and XL-ATX platforms like the EVGA X58 Classified 4-way SLI (SR2) board. 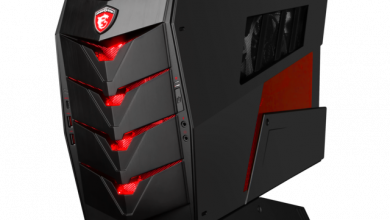 With the option to run dual PSU’s, and take a motherboard as large as the HPTX form factor, it’s going to easily cater to the high end gaming rigs. So let’s dive in and see what we got. Looking at the box when it arrived, it really gave you an idea just how big it was. Then came the time to pick it up and move it. The case alone weighs close to what a couple of my fully built rigs weigh. 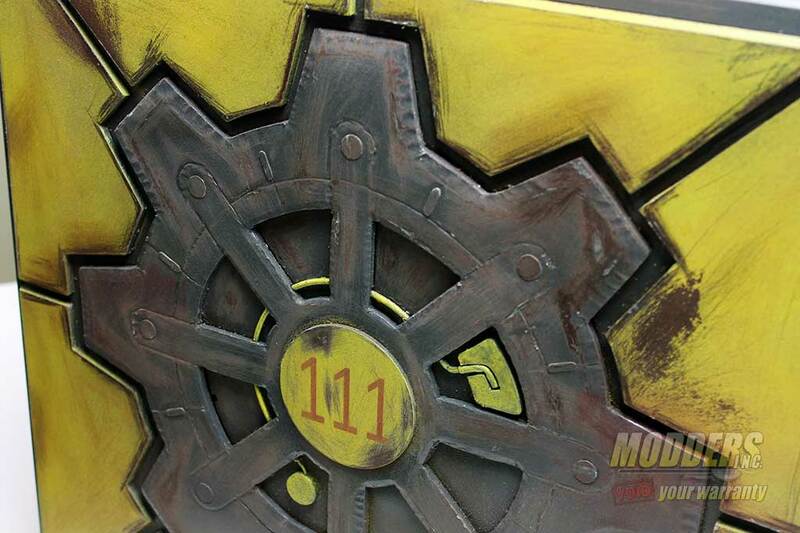 The Elysium is well packed in a thick cardboard box to prevent any issues with shipping. 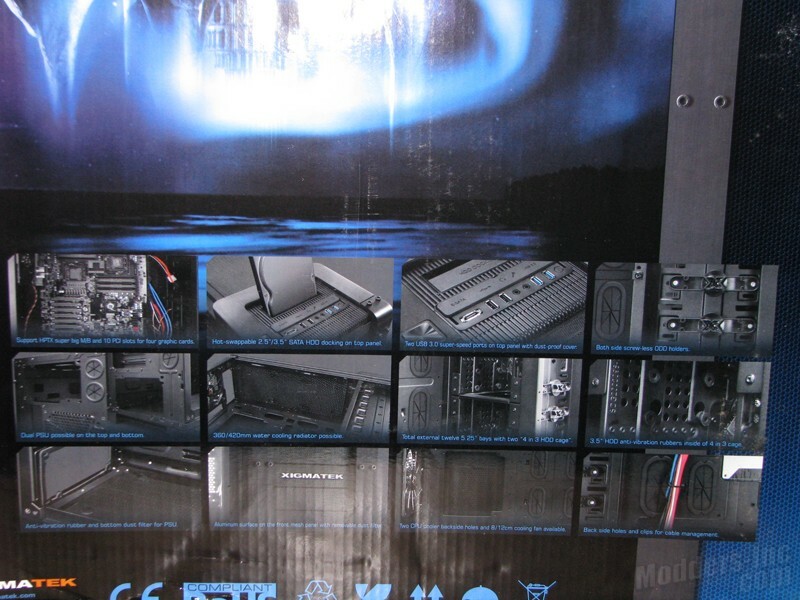 The box art is also very graphical and informative for a consumer looking at the unit in a brick & mortar store. Looking at the lower area of the rear we see several images that focus on specific areas of the Elysium. On one end of the box we find the full list of specifications, with the other end showing the four different variations that the Elysium comes in. The Elysium is available in black on black windowed, black on black, silver on black windowed, and a silver on black configuration. The Elysium measures in at 9.06 Wide x 24.33 High x 26.10 Long. If your planning on sitting this on your desk rather than under it, you might want to make sure you desk can handle it. From a first glance the Elysium does have some nice clean lines to it. 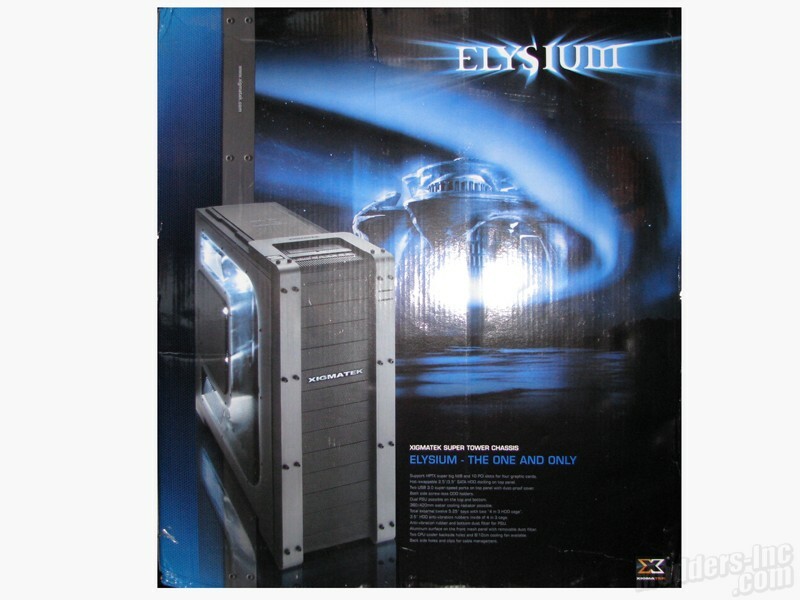 The Elysium has a plastic from panel with aluminum strips that run up both sides of the 5.25″ drive bays (which there are 12 in total). 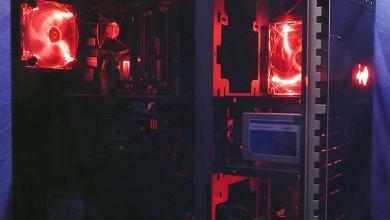 Moving over to the rear, we see that there is a total of 7 watercooling line grommets pre-installed. 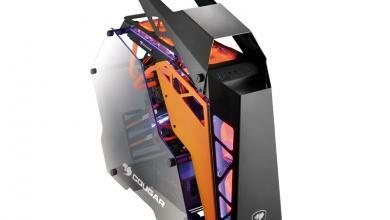 It also uses a 140mm rear white LED exhaust fan. 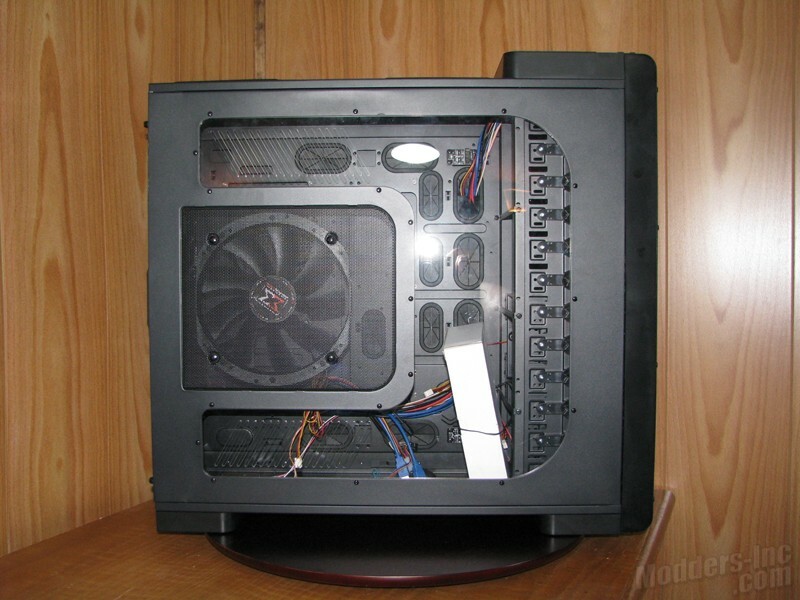 Just above the I/O area is a filler panel that hides the top PSU mount. 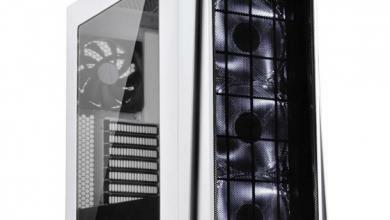 The Elysium has 10 expansion slots above the rear PSU mount. We can also see that the Elysium is painted inside and out to help it with that nice clean look. On the left side we have a large U-shaped window with vents above and below the side mounted 200mm white LED intake fan. On the right panel we have a perforated fan mount located where the main CPU would be to offer additional cooling (fan is optional). 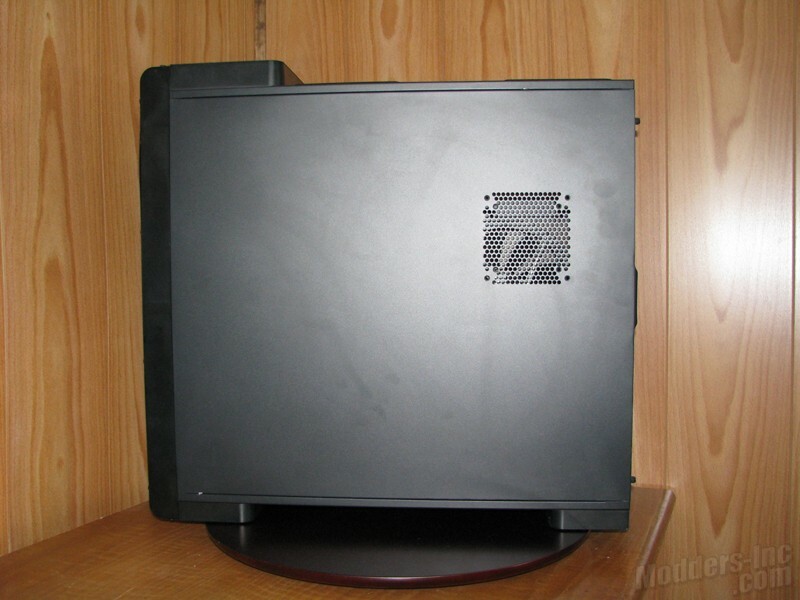 Hot-swappable 2.5″/3.5″ SATA HDD docking on top panel. Two USB 3.0 super-speed ports on top panel with dust-proof cover. 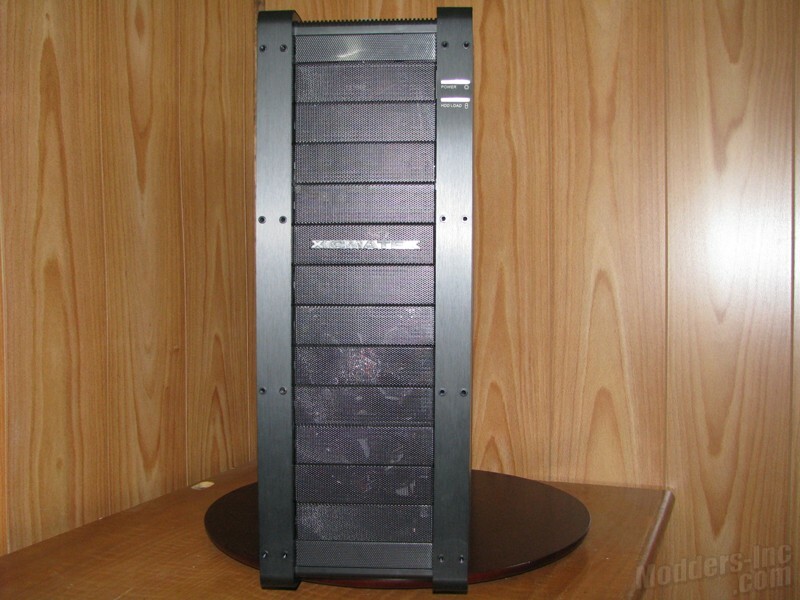 Total external twelve 5.25″ bays with two “4 in 3 HDD cages”. 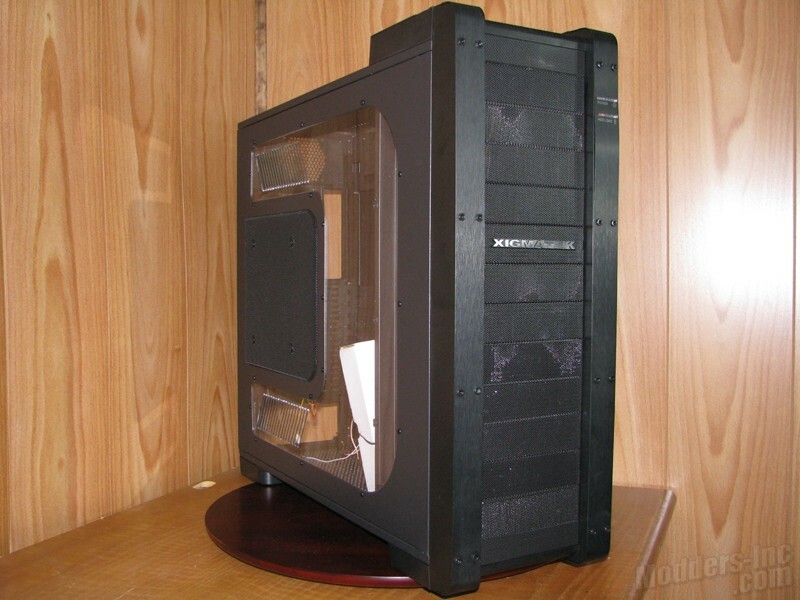 3.5″ HDD anti-vibration rubbers inside of 4 in 3 cage. 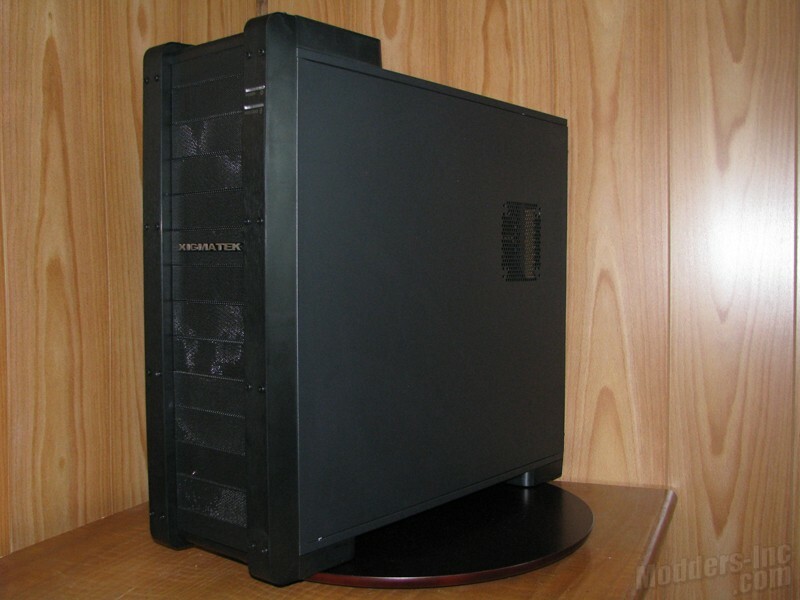 Anti-vibration rubber and bottom dust filter for PSU. Aluminum surface on the front mesh panel with removable dust filter. 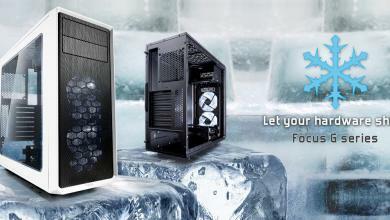 Two CPU cooler backside holes and 8/12cm cooling fan available. 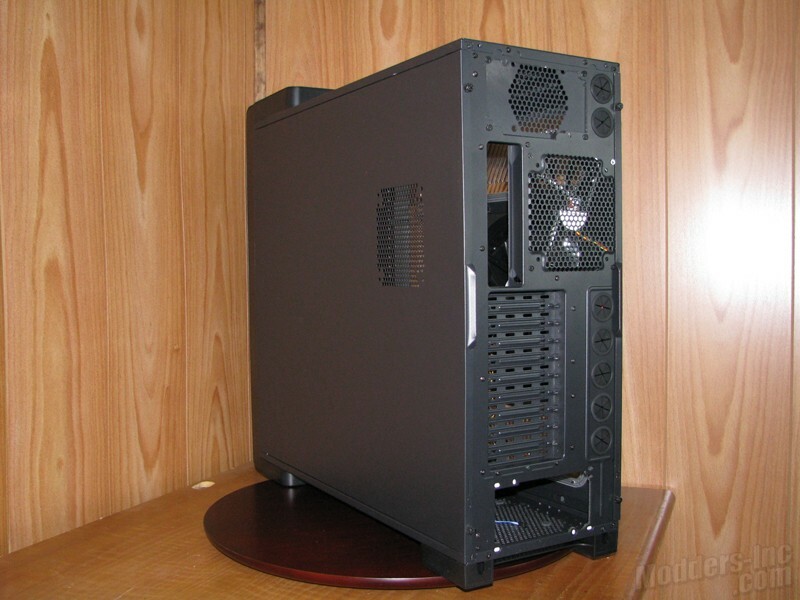 Power Supply Supports two standard P/S2 ATX/EPS power supply units. 1. Intake vent with dust filter (Bottom PSU only). 2. 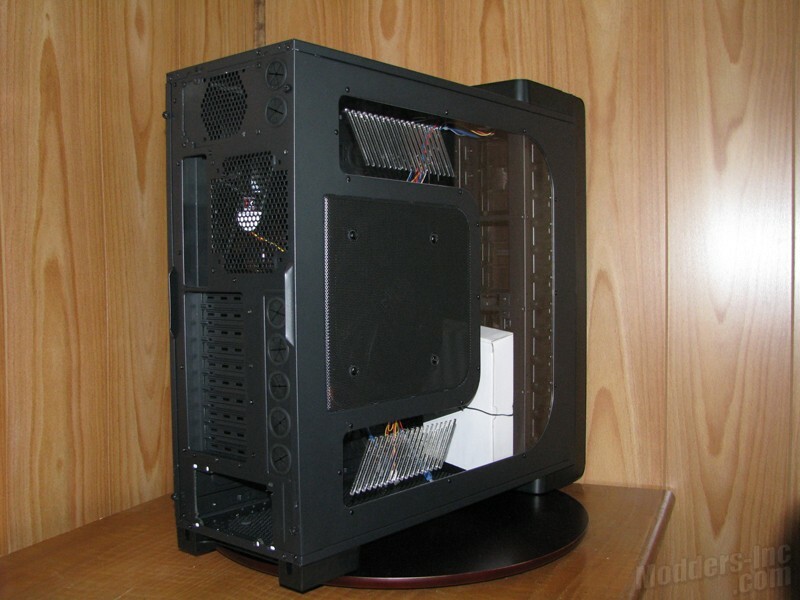 PSU can be mounted with fan up or down. 3. Rubber pads for bottom mounted PSU to sit on. Drive Bay 5.25″ External x 12 with tool-less fastners on both sides. 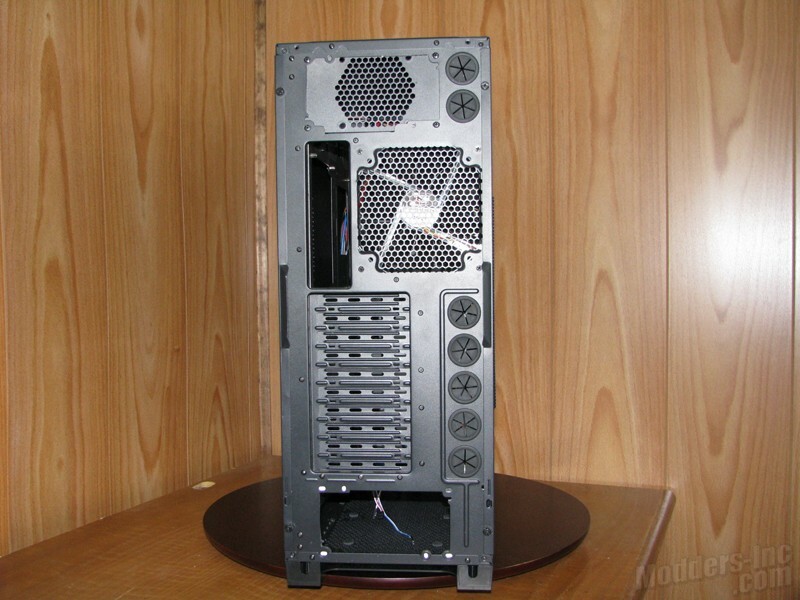 3.5″ Internal HDD x 8 via the two 3.5″ 4in3 HDD cages. I/O Panel Top Panel: Power button, Reset button, USB 3.0 x 2, USB 2.0 x 2, e-SATA x 1, Audio in/out x 1 (HD Audio), One 2.5″/3.5″ HDD hot-swap docking.